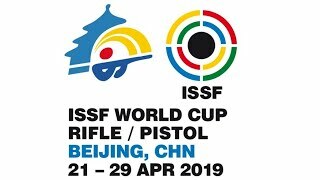 Yao Yuncong and Wu Mingyang ruled the 10m Air Pistol Mixed Team event, preceding their teammates Yang Haoran and Zhao Ruozhu, who had previously set a new Qualification World Record. Germany’s Selina Gschwandtner and Julian Justus completed the podium in 3rd place. 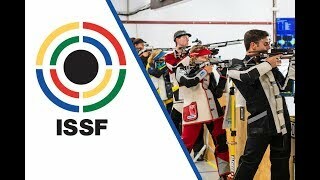 The ISSF World Cup Stage 3 in Fort Benning (USA) closed today with its final event: the 10m Air Rifle Mixed Team. Once again, the People’s Republic of China claimed two of the medals up for grabs, as 22-year-old Yao Yuncong and 21-year-old Wu Mingyang climbed atop the podium and secured their country’s fourth gold of the competition. 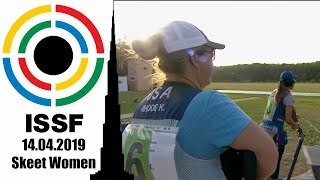 Despite standing in 5th place after the first 5-shot series, Yao and Wu climbed back position after position, shooting with great consistency and taking the lead after the fourth series, when they were standing in 1st place at 351.7 points alongside Germany’s 23-year-old Selina Gschwandtner and 30-year-old Julian Justus. There, the two Chinese youngsters nailed the impressive score of 42.7 points, building a remarkable gap and eventually landing on the highest step of the podium with 497.7 points. The second Chinese team in the final — composed by Yang Haoran (22) and Zhao Ruozhu (19) — avoided elimination in 4th place with a good 41.3-point performance in the fifth series, then overtaking Germany in the following one and claiming silver with 495.7 points. Moreover, Yang and Zhao set a new Qualification World Record with 842.0 points, 3.3 points above the previous one belonging to Vladimir Maslennikov and Daria Vdovina. Gschwandtner and Justus completed the podium in 3rd place and scored 433.1 points. Competing on their home turf, 21-year-old Virginia Thrasher and 27-year-old Dempster Christenson of the United States of America finished in 4th place with 391.8 points, while Norway’s Henrik Larsen (20) and Jeanette Hegg Duestad (19) left the final in 5th place with 341.7. 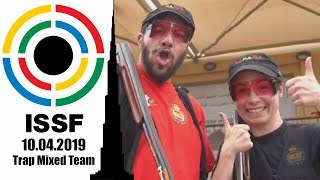 For the 10m Air Rifle Mixed Team complete results click here. 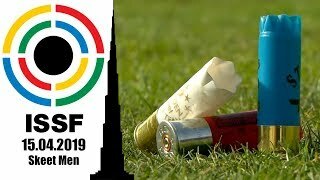 The 2018 ISSF World Cup Series will resume in a few days, as the fourth stage of the season will take place in Munich (GER) from the 22nd to the 29th of May. 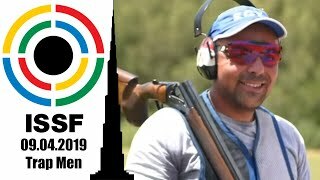 All ISSF competition will be streamed live on the ISSF website, on the Federation’s Livestream channel and on its official Facebook page.